To create and market imaginative, life enhancing products in a way that is ethical, responsible, and fun! RSVP.com is the retail website for Sellers Publishing products, which include books, calendars, RSVP® and Wicked Funny® greeting cards, High Note® Premium Planners & Stationery, and other stationery products. We are an independent, New England-based publisher who focuses on all of the joys of life’s milestones and moments. Since 1993, we’ve aimed to create products that are in tune with your lifestyle, help express your personal history, and celebrate a life well lived. We publish calendars, greeting cards, books, and stationery. Our staff of passionate creators strive to highlight the talent of artists and the power of encouraging words. We want to be right alongside you as you graduate college, marry your best friend, become a parent, reflect on the future and on years past, and carve out your place in the world around you. In 2008, Sellers moved into our own 47,000 sq. ft. headquarters in South Portland, Maine, which includes a recently expanded 18,000 sq. foot warehouse and shipping facility to better serve the firm’s growing customer base. In 2008, we also introduced RSVP® Greeting Cards, and soon after that, the Wicked Funny humor line was launched. RSVP has over 2,000 everyday, humor and seasonal designs that are sold in large and small retail stores across North America. With one of the highest refresh rates in the industry, Sellers consistently introduces new designs. In 2016, the High Note® Premium Planners & Stationery line was introduced, and the products were picked up by several major retailers in 2017. By 2018, four new formats were introduced to the planner line, and the High Note Premium Greeting Card line was expanded with 28 new designs and refreshed with handmade embellishments, unique processes, and additional decorative details. If you are interested in becoming a wholesale partner for any Sellers Publishing product, please call us at 800-625-3386 or email us at [email protected]. 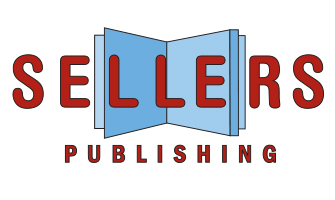 At Sellers Publishing, we’re committed to finding ways to minimize our impact on the environment. As a step toward this goal, all of our High Note calendars, planners, and stationery, as well as our core line Wall, Mini and Boxed Daily calendars, are printed entirely on paper that contains fiber from well managed and responsibly harvested forests that meet strict environmental and socioeconomic standards. RSVP.COM is dedicated to offering products and services that enhance the experience of life. The site was launched in 1994 when we recognized the enormous potential of the internet to become both a distribution channel for creative content and a conduit for communications. We offer both virtual and non-virtual products and services designed to help people enjoy their lives, plan their lives, communicate and congregate. Before launching RSVP.com, we were publishers of visual media (calendars, greeting cards and illustrated books). For this reason, unique and original visual content will always be a priority on our site.